Incredible vista views from the oversized L-shaped balcony overlooking Biscayne Bay and south. Quiet corner unit. Best 2/2 line in building! Euro kitchen with breakfast bar. Full-service building with tons of amenities. Pool deck is amazing! Just the perfect spot. Close to everything, but just far enough away... Valet parking. In unit laundry. 7-11 just downstairs. EZ Landlord prefers direct deposit rent payment. Unfortuantely, no pets allowed for renters. Basic cable, Internet, water/sewer included. Pay only electric. Walk to the Business district, best restaurants & shops. 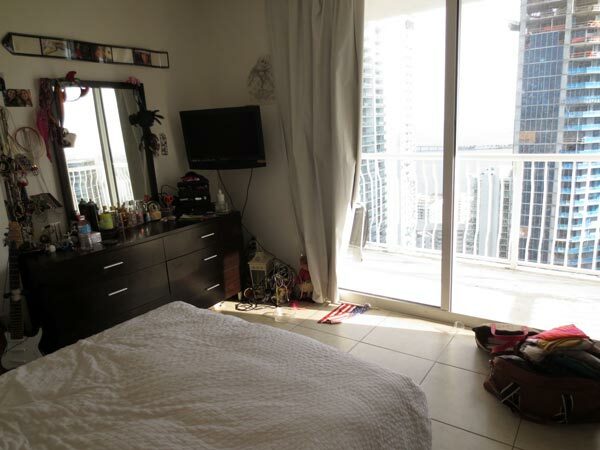 Easy access to Miami Airport and the beaches.